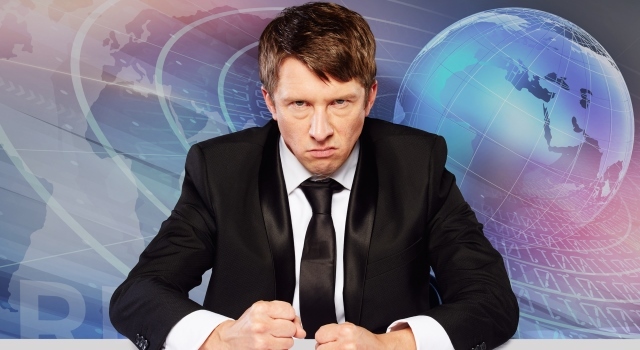 Left-wing reporter Jonathan Pie, combines the brilliant characterisation of Al Murray with the radical anger of Mark Thomas. Walker is arguably the UK’s sharpest political satirist. Known for venting his spleen in unguarded “off-camera” rants, Pie’s online videos have been viewed by millions worldwide.As an old-school leftie, Pie’s anger is usually directed towards the Tories. But he has also been known to question the tactics of the left, which has got him into trouble from time to time. Pie is the brainchild of actor Tom Walker, who first brought the character to life in September 2015. He became a viral hit when he famously ‘lost it’ outside the Houses of Parliament, and his fan base has continued to gain momentum ever since.